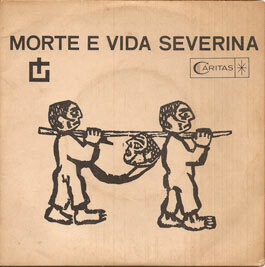 In 1955, João Cabral de Melo Neto wrote “Morte e Vida Severina,” a long poem about the death and life of a poor man, Severino, from the northeastern country side of Brazil. The poem chronicles Servino’s journey from the drought destroyed northeast of Brazil-where he lived a life of servitude and exploitation working for a plantation owner-to a minimal existence on the outskirts of one of Brazil’s large cities in the favelas (slums). In 1966, Chico Buarque put Melo Neto’s poem to music. Buarque’s four part Morte e Vida Severina resonated with Brazilians, as Severino’s struggles with oppression and hopelessness seemed to parallel the stifling military junta that stripped many of their civil rights. 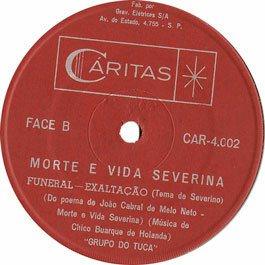 “Funeral” is Severino’s funeral song. It’s his final resignation to his life of disempowerment and hopelessness. Severino realizes that in death, he will finally have a piece of land to call his own, even if it’s only a shallow grave. The truth of Melo Neto’s words would resonate for generations. His poem was translated into several languages and praised as one of Brazil’s classic works. His play continued to be interpreted and reinterpreted; turned into a play and then later into a film. But even without translation and visual representation, his words spoken convey the heaviness of the reality he was trying to convey. “Funeral” carries weight even if you don’t understand what the words mean. And sadly fifty years later Melo Neto’s words, in any form, still speak true to the realities of Latin America. This entry was posted on Saturday, May 8th, 2010 at 2:57 pm	and is filed under Uncategorized. You can follow any responses to this entry through the RSS 2.0 feed. You can leave a response, or trackback from your own site.